PoemTalk 77: on Lorine Niedecker's "Foreclosure" and "Wilderness"
Last week saw the release of the seventy-seventh episode in the PoemTalk Podcast series — a discussion of two poems, "Foreclosure" and "Wilderness," by the one and only Lorine Niedecker. For this program, host Al Filreis was joined by Michelle Taransky, Jessica Lowenthal, and Dee Morris. Here's part of Filreis's discussion of the former poem, as found in his write-up of this episode on the PoemTalk blog: "As a house is being foreclosed in 'Foreclosure' the speaker resists by turning the bankers' legal language around and by mocking it ('their parties thereof /and clause of claws'). She then concedes the house but wants to keep the land, demanding that 'the land' be 'scratch[ed] out' from the agreement, and finally delivers an edgy benediction, cursing property and also prose with elimination. Only then will the speaker of this poem find peace. The ending suggests that prose is to property as poetry is to the concept of land defying ownership. The ratio reminded the group of Dickinson ('I dwell in Possibility' with its house fairer than prose)." You can read the rest of his introduction on Jacket2. PoemTalk is a co-production of PennSound, the Kelly Writers House, Jacket2 and the Poetry Foundation. If you're interested in more information on the series or want to hear our archives of previous episodes, please visit the PoemTalk blog, and don't forget that you can subscribe to the series through the iTunes music store. "Few magazines have exploded the periodical format like Tom Raworth's remarkable Infolio. The magazine was published in Cambridge, UK, at three distinct intervals (daily, weekly, and biweekly) across 116 issues from the summer of 1986 until the fall of 1991. In each issue, the cover features a work of art while the interior features a spread of poetry. For both cover and interior, Raworth reproduced submissions of original manuscripts. In this way, from a media archeological perspective, the magazine records the writing tools of each of its contributors — or, as Raworth notes, 'strange now to think there was a time when one could recognise a friend's typewriting.' The back covers (pictured below) contain editorial notes, bibliographic information, collages, and colorful cork-stamps by Raworth." Given the complexity of this collection, Snelson's done an amazing job of making the materials user-friendly. Readers can download the complete Infolio run as a single zip archive, browse individual issues from each series by cover, or search through a linked alphabetical index of contributors. You can learn more about the journal's history and start reading here. 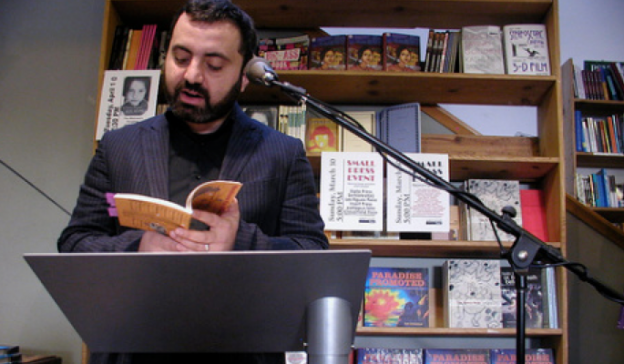 "Ara Shirinyan is a poet and publisher living in Los Angeles. He runs Make Now Press and is a co-founder of the Poetic Research Bureau with Joseph Mosconi and Andrew Maxell. The PRB hosts a long-running reading series, publishes books, puts on exhibits, and generally advocates for experimental writing culture. Ara is also a co-founder of The Smell, a legendary L.A. punk venue. Ara's books include Syria Is in the World (Palm Press, 2007), Your Country Is Great: Afghanistan-Guyana (Futurepoem Books, 2008), and Julia's Wilderness (Poetic Research Bureau, 2014). You should check out Eric Rettberg's recent essay on Shirinyan in Jacket2, 'Laughing at Your Country is Great.'" While PennSound doesn't have an author page for Shirinyan, he was a frequent guest on "LA Lit," which ran from 2005–2008, and you can hear him as a reader, panelist, and interviewee on a number of programs in that series. Today saw the launch of "Reasons for Singing," a complex Jacket2 feature, edited by Matthew Cooperman, which pays tribute to the long life and poetic career of John Taggart. Comprised of critical essays, recollections, poetry, and correspondence, the feature includes contributions from a wide array of authors, including Peter O'Leary, Pam Rehm, Mark Scroggins, Joseph Donahue, Stephen Ratcliffe, Patrick Pritchett, Marjorie Welish, and Robert Bertholf, among others, along with two pieces by Taggart himself. 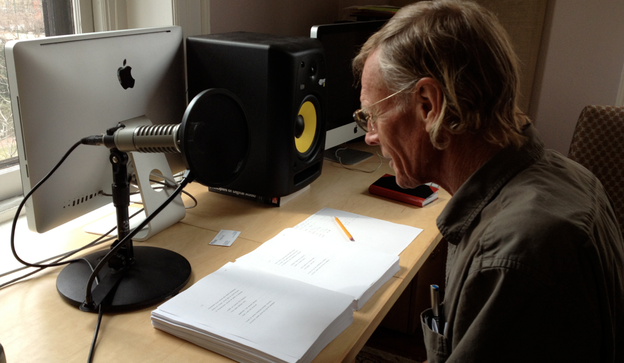 In conjunction with the J2 feature, we've added two new recordings from 2012 to PennSound's John Taggart author page: a lengthy Ocober 23rd set from the Joynes Reading Room at the University of Texas at Austin — which has been segmented into nineteen tracks (ten poems plus lavish introductions to nearly every piece read) — as well as an unsegmented reading recorded two days later at Houston's Rothko Chapel. These two sets beautifully reinforce certain preoccupations of the new feature, and showcase work that's under discussion therein, and so they should be considered an essential complement. Earlier this spring, Stephen Ratcliffe stopped by the Kelly Writers House to record the entirety of C o n t i n u u m — the most recent in the poet's series of 1,000 page books written on 1,000 consecutive days — with engineer Zach Carduner. Split into ten segments totaling ten hours, the book was written between January 5, 2011 and September 30, 2013. Listening to Ratcliffe reading the words of the day on the page as it turns from one day to the next, one hears the poem's acoustic 'shape': the length and pitch of its syllables and words (plus those silences between them) sounding the air. What one doesn't hear is its visual 'shape': words set in Courier, font of equivalent spacing; the nine lines on the page divided into four stanzas; first three lines all the same length, followed by two pairs of indented lines (both first lines the same length, both second lines six spaces shorter), followed by two final lines (back on the left margin, both lines also the same length) (see photo of "9.30", top right). The visual 'shape' of the words on the page 'corresponds to' / 'performs' the 'shape' of 'things' / 'actions' / 'events' out there in the world, which are themselves being 'pointed toward' / 'simply recorded' / 'described' / 'transcribed' / 'enacted' / 'documented' / 'testified to' / 'celebrated' in the first and last stanzas and 'considered' / 'thought about' / 'reflected upon' in the two middle ones. You can read more of Filreis' thoughts here. Late last week, Chris Funkhouser published the twelfth and final installment in his Jacket2 commentary series, "in audio practice", "practice audio in," in which — following up on his previous posts detailing the histories of specific recording and performance projects, he takes the opportunity to reflect more broadly upon the lessons learned over a lifetime's work. It's well worth checking out, as is the series as a whole. 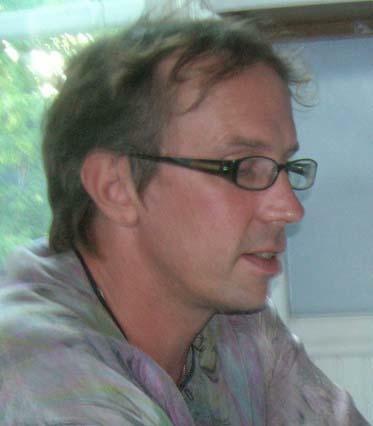 Here, Funkhouser begins by tracing the cultural and technological changes that have taken place over the course of that time: "Thinking back over the span of years encapsulated in these commentaries about recording experiences (1986-2014), the place where my audio practice started — with a handheld cassette unit and cheap tapes — is so massively different from where we are today. Portable (and post-able) recording technology in one form or another is now practically ubiquitous. Along the way, I made do (owed dues) with what I had access to, acquiring and/or using cassette, 8-track reel, 4-track cassette, DAT, Minidisc, SD card recorders, and other hardware. Thanks to computers and software decent and affordable home-studio setups, suitable to produce new and old material, are within the general public's reach — although as my wife contends, practice plays an important role (i.e., you need to know what you are doing and that only happens with familiarity over time)." Later, he pays tribute to "some unspoken influences upon the stories imparted in these commentaries," including Harry Smith, Alan Lomax, Paul Blackburn, and Kush, as well as "others (known and unknown) who have lugged recorders around in order to capture fleeting cultural moments." "Pushing buttons," he concludes, "makes us partners as technicians of the ephemeral." PennSound is very happy to announce an ongoing partnership with textsound, the online journal of experimental soundworks co-edited by Hannah Ensor and Laura Wetherington. On our textsound series page, you'll find all eighteen issues released between 2008–2013 — which contain an astounding array of poetic talents, including tracks by Catherine Wagner, Leslie Scalapino, Kenneth Goldsmith, Patrick Durgin, Kenward Elmslie, Anne Waldman, Anne Tardos, Rodrigo Toscano, Jennifer Scappettone, Brandon Downing, and Prageeta Sharma, among many others — along with contributor bios and editor's notes. 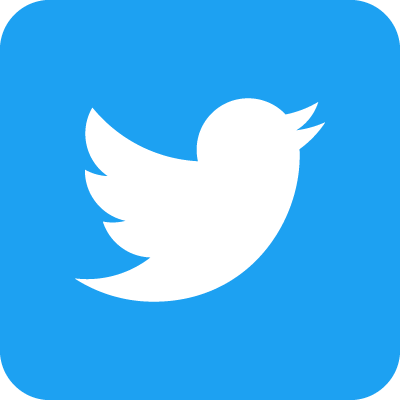 Here's what Laura Wetherington has to say about the journal's history and its relationship with PennSound: "Textsound has always been a poetry outfit — an organization curated by poets — but its mission takes into account poetics more broadly: poetics in its most sonic sense. Anna Vitale was the initial and driving force behind the magazine, proposing the project and selecting the initial editorial board back in 2007. Over the years we've spliced together DIY aesthetics, radio art, sound art installation, poetry performance, anti-art, and DaDa discord, creating crosstalk through mix tape. The archive on PennSound ensures that the contributors' conversations don't disappear." Over at Jacket2, Charles Bernstein recently posted a new audio piece, entitled "Crazy of Objects (Veil)," which, he explains, "overlays my 1999 Vancouver reading," creating a multifocal audio collage reminiscent of his 1970s tape constructs issued on the 1982 Widemouth Tapes release, Class, along with other contemporaneous experiments first issued by PennSound in 2009. "Crazy of Objects (Veil)" runs eight minutes and twenty-two seconds, and is presented in two distinct versions — a stereo MP3 iteration as well as a 4-track WAV format — each of which employs cut-and-paste montage and overlapping, echo, reverb, pitchshifting, time stretch and various modulation effects to distort the source audio. "Waveform Veil," a complementary visual piece (shown above) "overlays the waveform of the audio 4-track audio file" in a mode similar to the aural effects employed in the track. Of course, while we're considering potential intertexts for this new piece, we should also mention Veil, a 1976 book by Bernstein, which achieves similar aesthetic goals through typographic means. Last week I discussed the recent conclusion of Chris Funkhouser's Jacket2 commentary series, which revisits old practices and takes stock of the changes that have transpired since their first use, and here we see another perfect example of this phenomenon. Between the mid-70s tape machine-to-tape machine dubbing of Class and Berstein's Audacity-aided manipulations here, we can see the sometimes-glacial, sometimes lightspeed technological and cultural shifts that have taken place within our lifetimes.